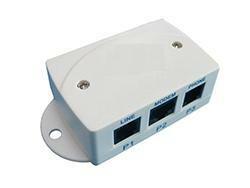 The FX-US01A 1 male to 2 female in-line DSL filter splitter uses US standard RJ45 plug and sockets, and it is suitable for France, America and other countries. 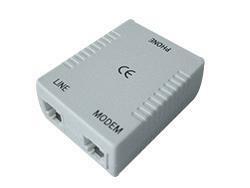 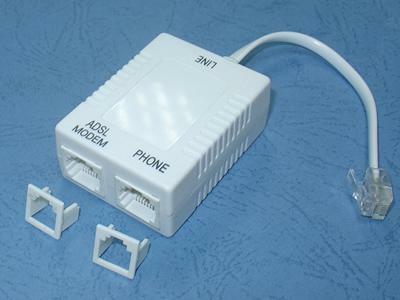 Connect in-line DSL filter splitter to the telephone wall jack. 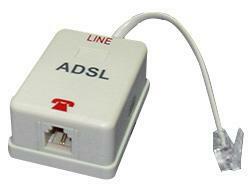 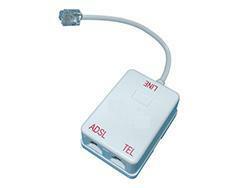 Plug the telephone line into the socket of in-line DSL filter splitter which marked "PHONE" or phone symbol. Connect the DSL modem to the RJ45 socket of in-line DSL filter splitter which marked "MODEM" or computer symbol. 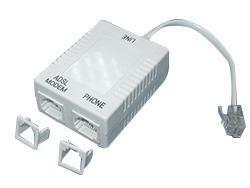 Listed above is one type of our inline DSL filter products. 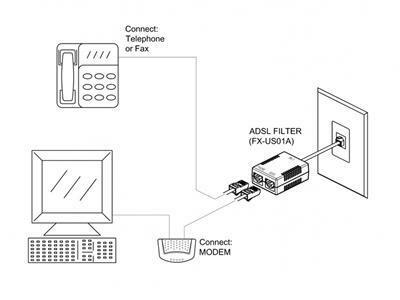 If it meets the requirements of your communication system, you can place an order immediately and quickly receive your items. However, if you have additional requirements in which this product may be insufficient, we have other types and can also provide you with customized DSL filter splitters to match your communication equipment.